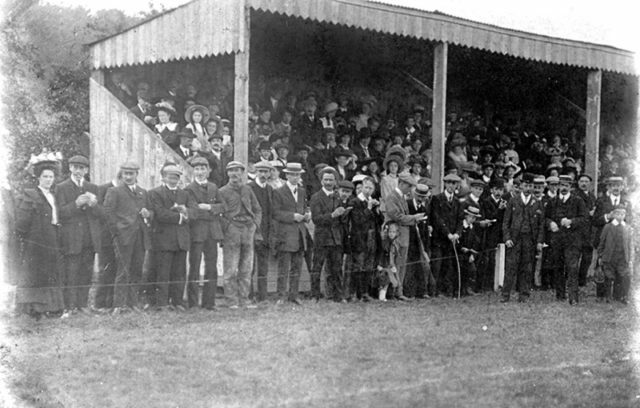 Football supporters at the old Midland League football ground of Peterborough United forerunners Fletton United who were playing in the Peterborough & District League at the time. The location is now buried under POSH’s London Road stadium. Dated around 1905.